An ELEGANT range of graphic walls with magnetic graphic panels for a smooth seamless appearance. Rapid assembly magnetic locking arms on selected systems. A Choice of frames height options in curved or straight frame configurations plus UNIQUE 'wave' shaped frames now available. 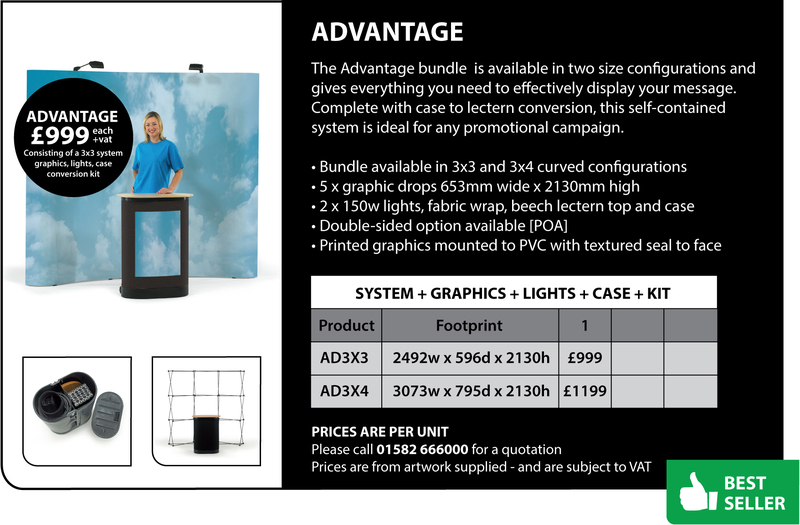 Our Advantage bundle kits and Supremacy pop-up display frames are constructed from strong, yet lightweight aluminium. Panels are secured by a fully magnetic locking mechanism and are easily mounted to create a fast and effective wall for display. Our traditional range is now complemented with a cross-braced system. 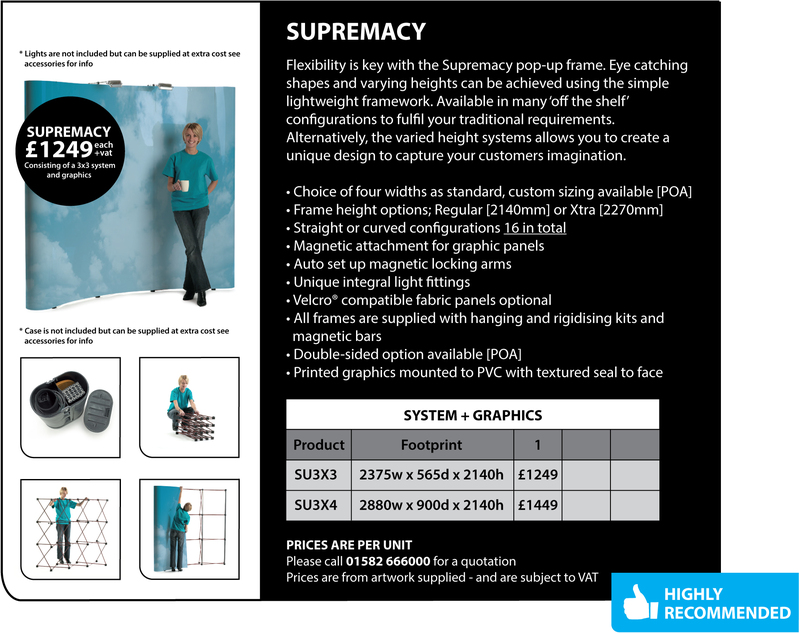 The Advantage offers the complete bundle whilst our Supremacy range offers flexibility in height, width and configuration. Modular display created with intelligent design and styling, choose from desktop or floorstanding configurations. The Fusion Versa and Rapid systems accommodate rigid or flexible display materials. 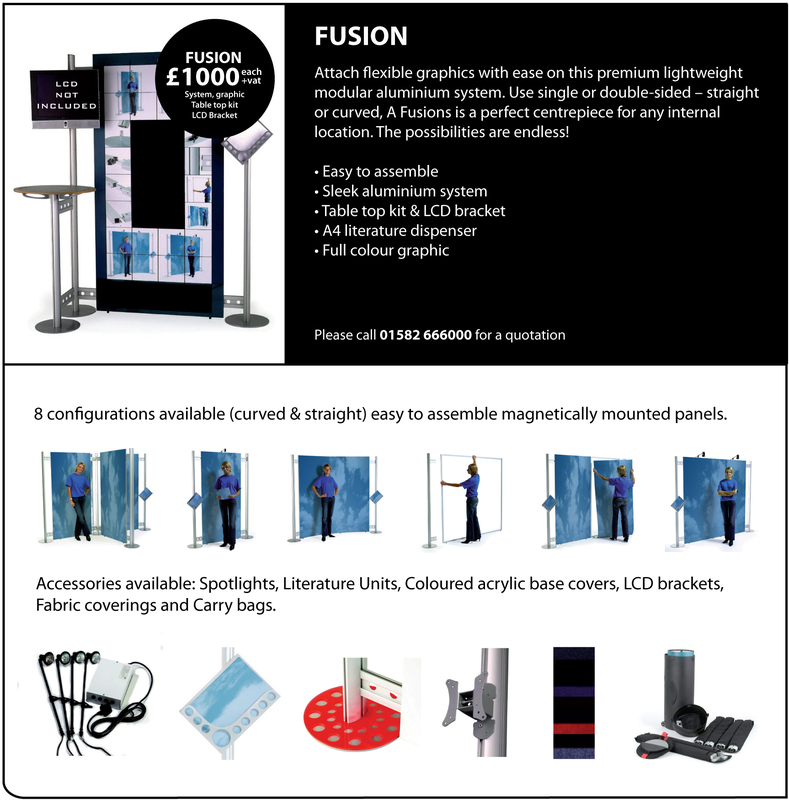 Fusion offers the versatility to reconfigure and extend your display to suit location and budget. The ‘new’ magnetic twist and lock assembly ensures the sleek aluminium post profiles can be constructed easily and quickly with precision – creating stability with a ‘twist’. Pop-up systems and Modular displays are available in many different configurations including desktop options, folding panel kits, panel & pole and plinths, please contact for more info.